GenoPetro.House Weblog: Chicago Voters Step Out For CHUY! Pictured Above: Emma & Cindy (Cindy being the shorter, less fashionably dressed one) showing last minute support for Jesus 'Chuy' Garcia in Chicago's Uptown Neighborhood. 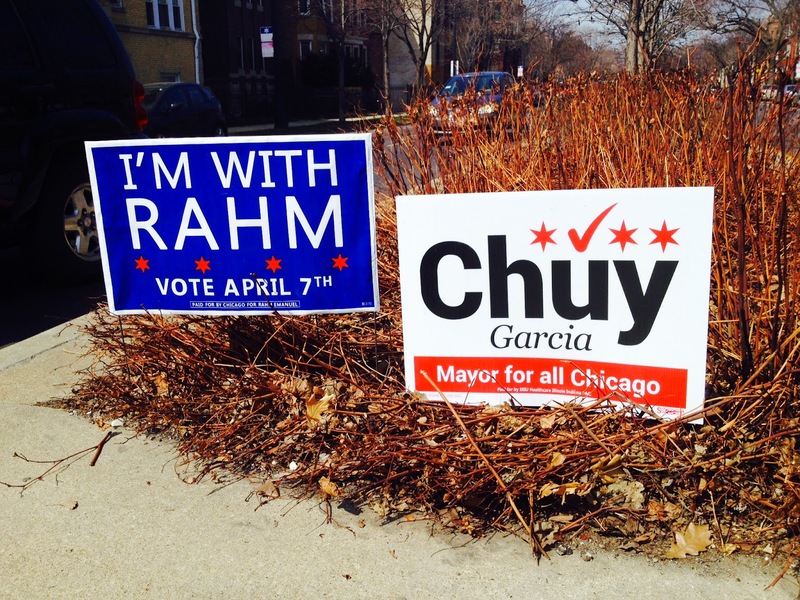 Garcia faces incumbent Rahm Emanuel in the city's first-ever mayoral runoff election on Tuesday. If elected, Chuy will also become the first Latino mayor in Chicago history.